Work out the volume of a cylinder using metres and centimetres. Four cylinder volume calculators based on radius or diameter in metres and centimetres. Enter the radius or diameter and height of a cylinder and click Get Volume Results. Results on the right in cubic units. 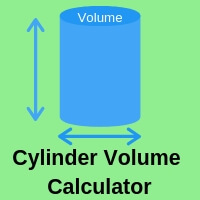 Copy out your volume of a cylinder results. Highlight answer. Ctrl C = copy, Ctrl V = paste.